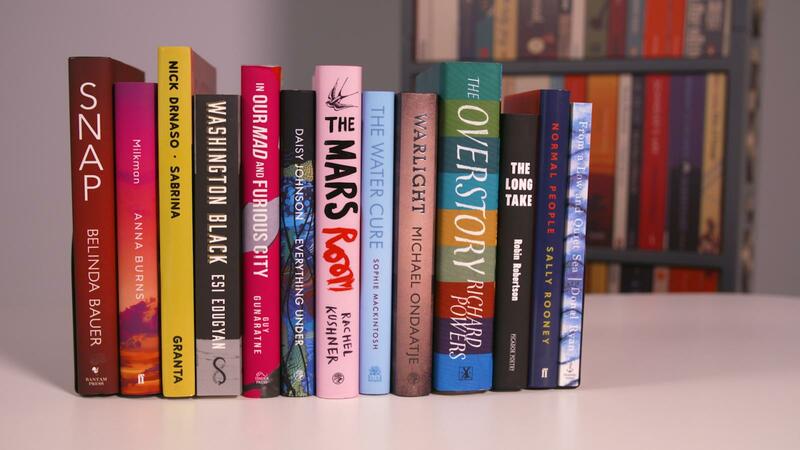 So the Man Booker Prize 2018 longlist has been announced. 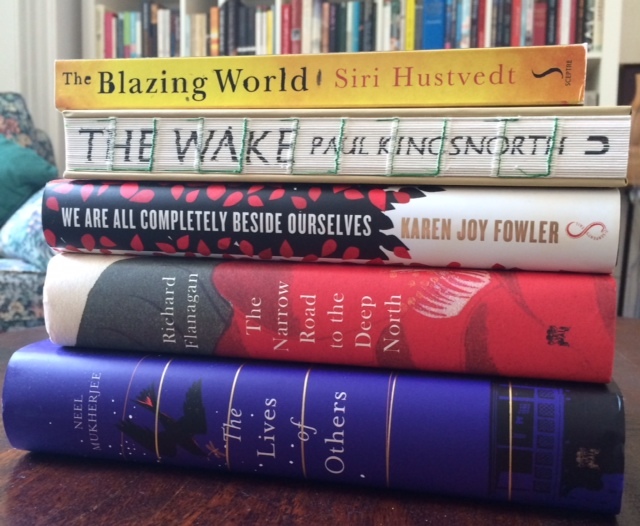 It has seemed strange in the last few years that I haven’t done a ‘guessing the longlist’ post or video, as since I started Savidge Reads in any form I have always followed the prize and then the Man Booker International Prize. When I first started reading again in my twenties (after the six years where I didn’t pick up a book, imagine) the Booker was a signpost for me of some great reads that I should really head to. Over the last few years however the love has waned somewhat. I’ve felt a little like it had lost its way somewhat. I actually talk about it in a video I will embed below, don’t worry I won’t be sharing all my videos, I know some people prefer one medium to the other, its just so I can add/be a little bit extra, ha. What do I think of the list? Well firstly I was shocked that I had read one (The Water Cure, review coming in due course) and had all of them on my shelves with the exception of Warlight, The Long Take and Sabrina, the latter of which I have already bought and rectified. Secondly, I think this is a really fresh (and much needed) list. It is by no means the perfect list, but when are they? I would have liked some more books from other commonwealth areas like Africa, India and Australia etc. Yet at the same time I love the fact that the list has so many women on it, there is some younger and lesser known talent and with a crime novel and a graphic novel a slight feel of excitement and change. I talk more about that below. So those are my initial thoughts. Am I going to read the whole longlist? Not intentionally, no. That said I am about to start The Mars Room as a buddy read with my pal Mercedes. I am super duper keen to read Washington Black, Everything Under, Snap and Milkman for definite. Then I think I will see what takes my whimish moods, which is the best way to read anything full stop. What are your thoughts? Do you like the list? What is missing, if anything? Let’s have a natter in the comments below. Unless you were like me, in which case you were far too busy moving furniture, walls and the like, then you all probably saw the longlist for the Man Booker Prize 2014. With its rule changes last year, becoming open to any book written in English anywhere in the world published for the first time between October 2013 and September 2014, the long list was one which many felt would now be an American full house. 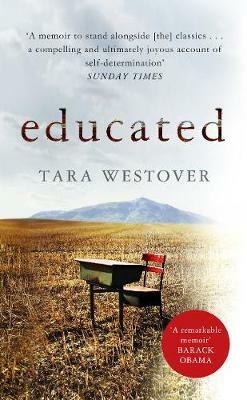 It doesn’t seem to be the case, yet weirdly it doesn’t seem to be a longlist that is doing very much for me. I have only actually got five of them, I would have had six but I found the Niall Williams gratingly pretentious when I tried to read it a while back, and have read not a one so I can’t judge them on what’s inside yet very little really excites me here. Actually that is not 100% true or fair. I am excited by the Karen Joy Fowler because that is a book I have been wanting to read ever since I saw it on the sadly (and criminally) now defunct Review Show. I have also heard amazing things about the Flanagan in all the right places, from Marieke Hardy to Kim of Reading Matters. I have also read Mukherjee, Nicholls and Smith before and really, really liked their work. I am also intrigued by the Kingsmith, which would be a marvellous winner as it is a debut and Unbound, who publish it, are a crowd sourced publishers, exciting. Yet I am still not really that excited and really with a prize like the Man Booker I should be. The Williams-effect might be part of it, I may be judging the books on that. I may also be feeling indifferent to it because a) I am knackered post festival b) Ferris and Mitchell are two authors many people love yet I just simply do not get. It could be that it just all feels terribly white middle classed male (with the exceptions of the women and Mukherjee) and not the exciting, vibrant, diverse list I always hope it is going to be. I also think it is really strange that at present so many (5) of the books aren’t even out, Jacobson not coming out until the 25th of September, it doesn’t seem a list that can yet excite the public does it? And does it mean if the dates don’t change then the publishers are breaking this rule – Each publisher of a title appearing on the longlist will be required to have no fewer than 1,000 copies of that title available in stock within 10 days of the announcement of the longlist. Will they be withdrawn/disqualified? Today it seems about the only exciting thing that might happen from this list. It makes me wonder if the Man Booker is really the prize for me anymore. Maybe I should just stick to the Women’s Prize (which I find very difficult to call the Bailey’s, and I love that tipple) and Fiction Uncovered as it seems that is where the well written AND diverse voices most seem to be found with very similar prize remits. Maybe I should read a few and reserve judgement? What do you all think?